Read the full article online at www.navy.mil. Chief Cryptologic Technician (Collection) Jeremy T. Crandall was recognized by the Military Times for doing something that comes naturally to him: putting others first. It's that natural response that earned him the selection as the 2014 Navy Times Sailor of the Year. Although the Rockford, Ill., native had three brothers already serving in the military, Crandall said this wasn't what drove him to join the Navy. His father did, literally. As his father came to an abrupt stop in front of the recruiting center, June 25, 1999, Crandall felt himself getting anxious. "I was a little nervous when my father dropped me off," Crandall said. "I didn't know it at the time, but this would become an enriching career for many years." Crandall said he wanted a job where he could help people, but wasn't sure how to obtain it. "My brothers played a small role in my decision to join the Navy," Crandall said. "I really didn't know what I wanted to do with my life so I just winged it." Crandall explained he considered the Air Force as his first option, but ultimately chose the Navy because of its immense job opportunities. Master Chief Nick Mellos, who Crandall felt was the tip of the spear. Watching Mellos in action inspired Crandall to live each day with a goal of making the same kind of difference to others that Mellos made to him. After his first enlistment, Crandall had the opportunity to pursue a great career outside the Navy, but at the last minute, chose to stay in the Navy. "It just didn't feel right to leave," Crandall said. "I turned the job down and reenlisted. At that point I knew this would be a career." Crandall reported aboard USS Abraham Lincoln (CVN 72) in May 2012, and as with all Chiefs new to the Lincoln, he sat down with the ship's command master chief (CMC), CMDCM Gregg Weber. "When I sat down with the CMC, he asked me what I wanted to do," Crandall said. "I immediately volunteered for the Lincoln's Drug and Alcohol Prevention Advocate. He was a little surprised but impressed." And then came the Ballast Course. Crandall started the program originally to keep at-risk Sailors from further trouble. The program centers on volunteering and classroom instruction that covers everything from naval history to drug and alcohol awareness. In its first year repeat offenses have been reduced by 60 percent and there is now a waiting list of volunteers who want to participate on their own merit. Each year, Military Times honors one service member from every branch who demonstrates dedication, courage and pride beyond what is expected. Winners are recognized online and in Washington D.C. for their genuine concern for their fellow service members and the community they continue to selflessly serve. Without a doubt, this was Crandall. "I have to admit it was a huge deal for me," Crandall said. Crandall's service doesn't stop with his shipmates. While serving aboard Lincoln, he has participated in many community relations projects (COMRELs) such as Lee Hall in Newport News, Va. COMRELs allow Crandall to interact with his subordinates in a positive way and help the community at the same time. Crandall said it's a great mentoring tool for junior Sailors. Crandall attributes his success to all of his leaders, past and present for getting him to this point in his career. "I truly do believe it takes a village to raise a child," Crandall said. 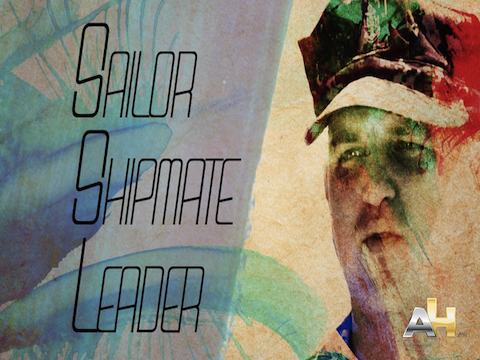 "We all have leaders who mold us into the Sailors we will ultimately become. I've taken those lessons from both good and bad leaders and incorporated it into my leadership style." Or click the link below to go to the Cryptologic Bytes archives.